Donington Park has been granted planning permission for a multi million pound development that promises to turn it into Britain’s flagship racing circuit. After months of speculation regarding the new project that will see sweeping changes to the Leictershire circuit, the local District Council gave the project the green light to proceed in a meeting on Thursday night. The circuit layout and faculties are set to change drastically with a 200mph straight along with all new paddock and grandstand facilities. 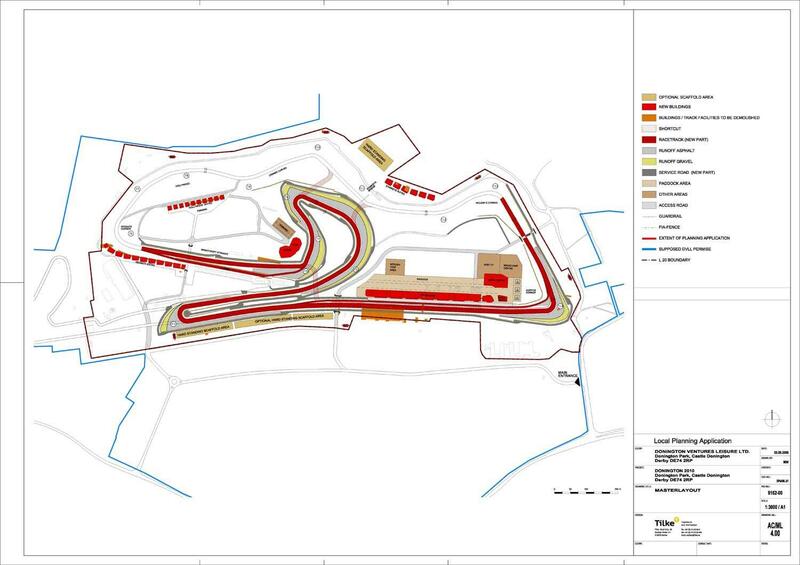 The acceptance of the ambitious plans will enable the venue to host the 2010 British Formula One Grand Prix whilst continuing to host British Superbike, World Superbike and MotoGP races in 2009 on the existing track. Donington’s Chief Executive Simon Gillett said: “This is a major step forward and one more target delivered. "I remain committed to approaching every stage of this development with the same passion and vigour with which we attacked the planning stage and I have endeavoured to ensure that the same is true of the people who will work with me on this project.